What documents must you carry when you’re climbing Kilimanjaro? Aside from your travel itinerary and passport, you’ll also need to have a few other critical papers handy in your daypack and written down on your Mount Kilimanjaro packing list so you don’t forget them. Check out today’s list of documents to take on your hike, and stick around for our favorite expert-level tips for how to travel smarter later. Have a passport? If not, that’s the first document you’ll need to snag and then bring with you on your trek. While you won’t even be able to get on the plane without a passport, we thought we’d kick off the list here, because you’ll want to start the application process at least 8-10 weeks before you need to leave. That being said, the sooner you tackle this task, the better. Your passport not only needs to be current (i.e., not expired), it has to be valid for six months after you return from your Mount Kilimanjaro hike. So if you go on a January climb, your passport will need to be valid through July of that year, for example. 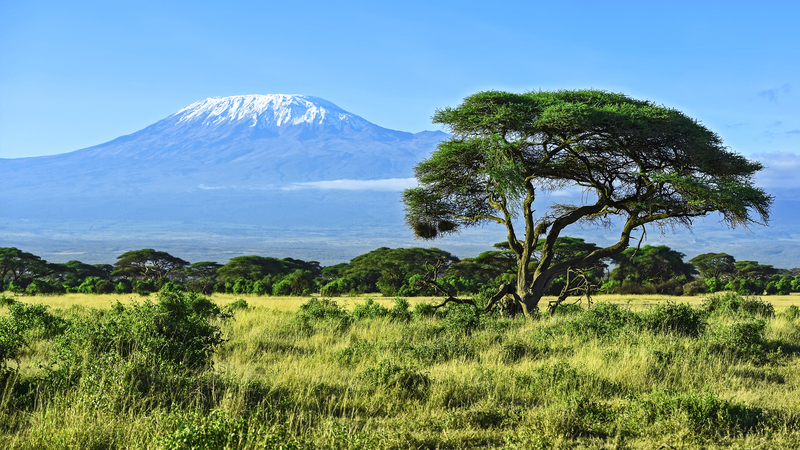 Check with the Tanzanian embassy online here or at the embassy in your country as other citizens, such as those from Hong Kong, do not need a visa to climb Kili. 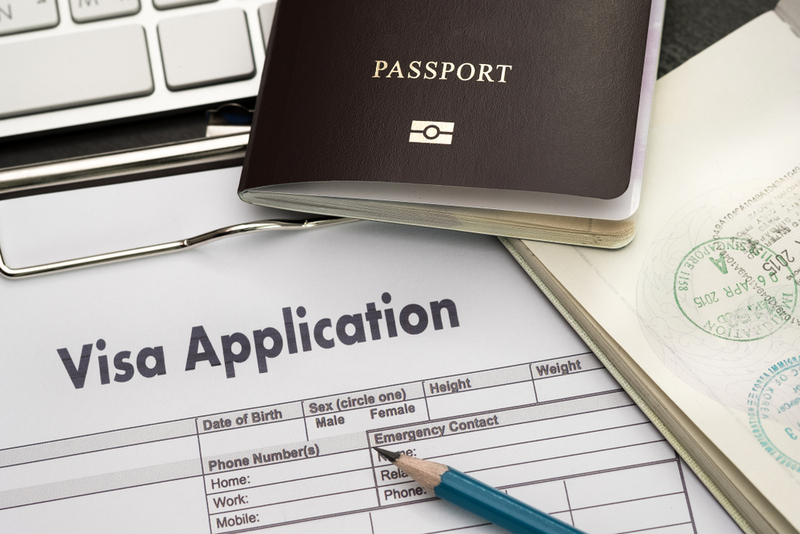 To get your visa, you’ll need to fill out and sign a completed visa application form (like this one for US citizens) either in advance or at Kilimanjaro International Airport (JRO). If you opt for the latter option, you’ll need to know where to go when you arrive in Tanzania. You’ll see two lines when you get off your flight at JRO: keep straight ahead if you already have a visa, or step in the line to the right to purchase a visa at the airport. Simply fill out your application, show the officials your passport, pay the fee (usually $100 for US citizens and $50 for most other visitors), and continue through the process. Tourism is the biggest industry in Tanzania and it’s easy to get lost between the shuffle of tourists and hiking outfitters on the mountain and in the local villages before and after your Kilimanjaro trek. It’s always a good idea to have your trip receipt, with the name of your trekking company and their local phone number, with you at all times. This will be your lifeline if you become separated from your group and need to find your way back. It’s not a bad idea to keep this in a plastic Ziploc bag, as you’ll be facing different types of weather while climbing Kilimanjaro. A soggy, torn itinerary won’t be much help if you end up lost! There are no required vaccinations or immunizations required by Tanzanian law before you enter the country. The only exception is if you’re traveling from a Yellow Fever risk zone before arriving in Tanzania. In this case, you’ll be required to prove you’ve received a Yellow Fever vaccination. However, it’s still a good idea to chat with your general physician about vaccines and immunizations for traveling to Tanzania. Malaria is spread by anopheles mosquito bites, which don’t live at high altitude. That being said, parts of Tanzania are in high-risk zones for anopheles mosquitoes so you’ll need to protect yourself with mosquito repellant a few times a day when in those areas. There are a few antimalarial drugs you can also take if you want to go the extra mile to protect yourself. You’ll want to keep your prescription for this and any other medication with you in case you experience side effects during your hike. Finally, it’s important to have a laminated card or piece of paper in a plastic bag that mentions any allergies you may have to certain medications (use generic names, as most of those are universal). If an accident were to happen, it’s important that those around you know which medications to avoid. Don’t be surprised if travel insurance is a mandatory requirement by the company you are climbing Kilimanjaro with. Travel insurance protects you from accidents and unforeseen circumstances you’d never dream of happening on your once-in-a-lifetime trek. Travel insurance can also protect your investment before you even depart for your trip. In case you need to cancel your Mount Kilimanjaro hike, such as due to a death in the family, a severe medical emergency, or a job loss, part of your trip expenses may be covered so you don’t lose the money you’ve already spent. Stash a copy of your travel insurance policy, with your policy number and emergency contact numbers, in your daypack and carry it everywhere. Bring along your medical insurance card in your daypack because most insurers DO extend medical coverage while you’re traveling abroad. 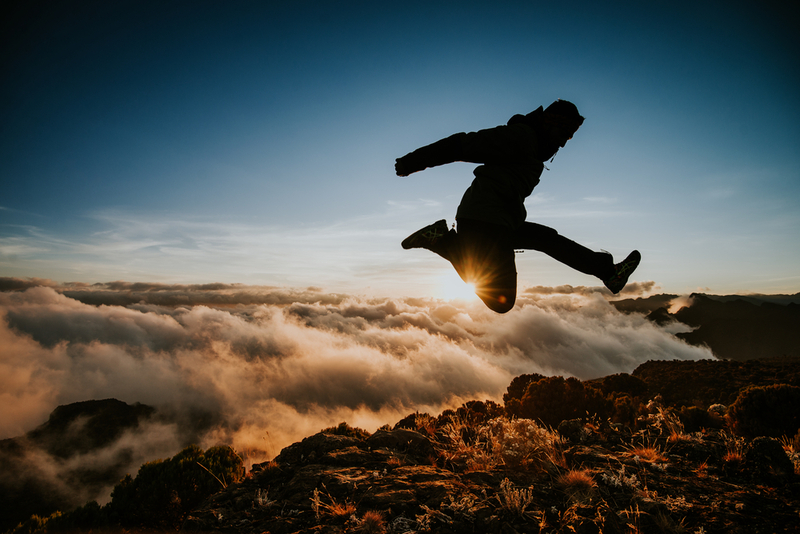 To prepare, check with your health insurance provider to see what your coverage options would look like before you start climbing Kilimanjaro. You should also write up a brief medical history in case something should happen to your health during your climb. Are you taking a specific medication for a pre-existing health condition? Are you using Diamox to help with the altitude? Since you’ll be far away from your family and general doctor, this sort of personal information can be used by your guide or another translator in an emergency and may save your life. You can’t rely on your new hiking buddy to know these personal facts or remain calm enough to remember them. You can never go wrong carrying cash, especially since US dollars are accepted pretty much all over Tanzania and Mount Kilimanjaro. You’ll want cash handy for shopping at the local markets and dining in town before and after your climb. But you’ll also need it for tipping guides and porters on your trek. Generally, hikers will choose to pool their cash together to give their support team a lump sum after climbing Kilimanjaro. Smaller denominations are better than larger bills because they’re easier to split between multiple team members. Pro Tip: You should keep all seven of these documents in a waterproof document holder or plastic document pouch that’s watertight so they’re not destroyed during rain or snow. Make sure this protector fits comfortably in your daypack without taking up too much room. Let’s get to a few other tips to make your Mount Kilimanjaro hike go smoother next. Back up all those documents ASAP. Make copies of each document we discussed — except the cash, since that’s illegal — as soon as you collect them for your daypack. You may also want to make copies of your credit cards, plane tickets, important contact numbers, the emergency number of your country’s embassy, and your guiding company’s contact information as well. Store them on Dropbox or a similar cloud storage, so that they are accessible from any device, anywhere in the world. Send your documents to a trusted family member or friend. After you copy your passport, visa, travel itinerary, contact numbers, travel insurance, etc., send this information to someone you trust (these may contain sensitive material after all). This will be helpful in case you lose your docs during your travels and need a copy sent to you. Always check in early for your flights to avoid airport delays and flight cancellations. The chances of your airline carrier losing your baggage decrease the earlier you check in for your flight, too. Bring an unlocked mobile phone and buy a SIM card in Tanzania. Tote along your regular smartphone on your standard plan and you’ll get hit with tons of expensive international charges. On the other hand, if you purchase a local SIM card in Tanzania, which is easy to do at the airport, you’ll avoid those hefty fees and get to use your phone as normal if there’s a signal on the mountain. Consider an option like ChatSIM, the world’s first SIM card that connects you to the best roaming operator. You get the best connection quality wherever you are and in over 165 countries. For just $25/year, ChatSIM delivers unlimited text messages and messages via instant messaging apps like WhatsApp and Facebook Messenger. Then you can purchase multimedia credits to share summit photos, videos, and make voice calls, too. Then download a messaging app like WhatsApp, Telegram, or even Facebook messenger to stay in touch with your inner circle when you have service. One of the biggest blunders hikers make when climbing Kilimanjaro is overpacking. Your Mount Kilimanjaro packing list should include these seven super important documents and none of the things you think you need to climb Kilimanjaro (but really don’t). Whether you’re learning how to prepare for your first Mount Kilimanjaro hike or ready to book your dream adventure right now, no one’s more excited to help you reach the summit than our experienced guides here at Tusker.